Home › 3 (2015) 24 › Theory of History Knowledge: Poor. Fifteen years after the publication of the PISA study, the time is ripe for drawing conclusions and enquiring into the character and distinctive features of the subsequent debate on the didactics of history. Some German educationalists, teachers, and curriculum planners have displayed an alarming lack of knowledge about the theory of history. The past forty years of discourse on the theory of history have not had any impact on them. Numerous texts on the didactics of history are permeated with stylish jargon that has nothing to do with the established terminology of the theory of history. This is not just simply a matter of buzzwords – this jargon represents, instead, obscuring terminology and the vocabulary of idlers. In class, it blocks students’ learning processes and its users avoid the task of introducing students to historical reasoning and its special terminology. Here are some examples of these empty phrases. Deconstruct – derived from the portmanteau word “deconstruction” (destruction plus construction) – is employed as a trendy synonym for the commonplace term “investigate”, which has not been specified methodologically. Usually, it is used when students are expected to undertake an activity, although nobody knows what they are supposed to do. What is even more dangerous, however, is that the use of this anti-hermeneutical catchword prevents students from being introduced to the problems of hermeneutics and hermeneutical understanding. The metaphor network originally came from ecology and described the consideration of a variety of factors in their mutual interrelationships, rather than in isolation. In texts on the didactics of history, one then encounters “conceptional networks” and “network hubs”. In history lessons, this metaphor replaces the term “narrative”. However, narratives do not construct “networks”; instead, they represent specific time courses whose beginnings and ends require explanations. The newest piece of jargon, also from ecology, is sustainability. There was and is not sensible usage for this term, either in historical scholarship or in the theory of history. A large dose of hermeneutical compassion might make it possible to understand this as the complementary activities of remembering and forgetting, but the semantic sense of “sustainable learning” can only be expressed ironically: students are only allowed to learn as many new “dates and facts” as the old ones they forget. We will only allude to the sloppy pleonasm of understanding others [Fremdverstehen] and the methodological nonsense of empathising [Hineinversetzen]. Deficits in the theory of history are apparent not only with respect to the usage of such stylish jargon but also in the usage of standard terms such as “knowledge”. A volume on the didactics of history, entitled “Historical Knowledge”  and published in 2012, teems with all kinds of “knowledge”: factual knowledge, superficial knowledge, prior knowledge, broad knowledge, working knowledge, historical knowledge, in-depth knowledge, basic knowledge, intelligent knowledge, practical historical knowledge, declarative knowledge, conceptional knowledge, procedural knowledge, metacognitive knowledge, policy knowledge, policy-related knowledge, operational knowledge, explanatory knowledge, causal knowledge, specific knowledge, discipline-related knowledge, case-related knowledge, acquired knowledge, archived knowledge. What does this have to do with history? If one decides to occupy oneself with the concept of knowledge, then questions about narrative knowledge, methodological knowledge, critical source knowledge, hermeneutical knowledge, and knowledge about the theory of history inevitably arise. If one decides to do without the knowledge concept – that prime concept for cognitivist restrictions – then things become more specific and also more historical: where are the historical thought processes involved in research, criticism, interpretation, and narration? These basic concepts of historical scholarship cover much more than just “knowledge”. History teachers and history educationalists are, however, only partly responsible for this unsatisfactory situation. Training courses for history teachers rarely include introductions to the theory of history. This unhappy state of affairs is also reflected in the literature. Many of the “Introductions”, “Basic Courses”, and “Theories of History” published by professional historians since the 1970s are not particularly helpful. It is obvious that they are based on introductions to lectures and statements from postgraduate seminars. Such publications may be legitimate, but they do not offer much support for history students, particularly for those who want to become teachers. The educational bureaucracy is also partly to blame for this situation. 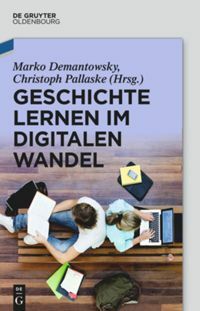 It is an indication of naivity if the authors of “educational standards” obviously imagine that participants in real-life [Lebenswelt] discourses take turns in presenting sentences from textbooks or the specialist literature. criticize claims of validity and submit one’s own well-founded claims. All of this is not possible without knowledge about the theory of history and its concepts. Students should therefore know what they are doing when they engage with history and be able to name their activities and relate them to the appropriate concept. They should know when they are interpreting and when they are analysing, they should be able to differentiate between nomological, probabilistic, and narrative explanations, and know that events and facts are not the same things. I have made a first attempt. It is absolutely essential that the didactics of history returns to the theoretical foundation of historical scholarship. Is the 200-year-old theoretical German-speaking discourse with substantial contributions of Schlözer and Schlosser, Ranke and Droysen, Weber and Wehler, as well as of Danto and White, really so pointless that it can be exchanged for a parallel system of esoteric concepts? Pandel, Hans-Jürgen: Geschichtstheorie. Eine Historik für Schülerinnen und Schüler, – aber auch für ihre Lehrkräfte. Schwalbach/Ts 2015 (release in December/January 2015/16). Pandel, Hans-Jürgen: Geschichtsdidaktik. Eine Theorie für die Praxis. Schwalbach/Ts. 2013. Christoph Kühberger (Hrsg). : Historisches Wissen. Geschichtsdidaktische Erkundungen zu Art, Tiefe und Umfang für das historische Lernen. Schwalbach/Ts. 2012. Pandel, Hans-Jürgen: Geschichtstheorie. Eine Historik für Schülerinnen und Schüler, – aber auch für ihre Lehrkräfte. Schwalbach/Ts. 2015 (release in December/January 2015/16) . Pandel, Hans-Jürgen: Theory of History Knowledge: Poor. In: Public History Weekly 3 (2015) 25, DOI: dx.doi.org/10.1515/phw-2015-4422. Fünfzehn Jahre nach Erscheinen der PISA-Studie ist es an der Zeit, Bilanz zu ziehen und nach Charakter und Auffälligkeiten der nachfolgenden geschichtsdidaktischen Debatte zu fragen. Manche DidaktikerInnen, LehrerInnen und LehrplanautorInnen haben darin eine erschreckende Unkenntnis der Geschichtstheorie gezeigt. Der geschichtstheoretische Diskurs der letzten vierzig Jahre hat bei ihnen keine Spuren hinterlassen. Viele geschichtsdidaktische Texte durchzieht ein modischer Jargon, der mit fundierter geschichtstheoretischer Begrifflichkeit gar nichts mehr zu tun hat. Es handelt sich dabei nicht nur um einfache Modewörter, sondern es sind Verdunklungsbegriffe und Faulenzervokabeln. Im Unterricht blockieren sie bei den SchülerInnen historische Erkenntnisprozesse, und ihre Verwender drücken sich vor der Aufgabe, SchülerInnen in das historisches Denken und seine spezielle Begrifflichkeit einzuführen. Als Beispiele seien einige dieser Floskeln aufgeführt. Dekonstruieren – abgeleitet von dem Schachtelwort „Dekonstruktion“ (Destruktion plus Konstruktion) – wird als modisches Synonym für den methodisch nicht spezifizierten Allerweltsbegriff “untersuchen” gebraucht. Meist wird damit von den SchülerInnen eine Tätigkeit verlangt, von der niemand weiß, was er tun soll. Bedenklicher ist aber, dass mit dieser anti-hermeneutischen Floskel die Einführung der SchülerInnen in die Probleme der Hermeneutik und des hermeneutischen Verstehens versäumt wird. Die Metapher Vernetzen stammt ursprünglich aus der Ökologie und bezeichnet eine Tätigkeit, verschiedene Faktoren nicht isoliert zu betrachten, sondern sie miteinander in Beziehung zu setzen. In geschichts­didaktischen Texten begegnet man dann “konzeptionellen Netzwerken” und “Netzwerkknoten”. Diese Metapher ersetzt im Geschichtsunterricht den Begriff der Narrativität. Erzählungen bilden aber keine “Netze”, sondern stellen qualifizierte Zeitverläufe mit begründungspflichtigen Anfängen und Enden dar. Neuestes Jargonwort, ebenfalls aus der Ökologie, ist Nachhaltigkeit. Für diesen Begriff gab und gibt es weder in Geschichtswissenschaft noch in Geschichtstheorie eine sinnvolle Verwendung. Mit großer hermeneutischer Barmherzigkeit könnte man darunter vielleicht die komplementären Leistungen von Erinnern und Vergessen verstehen, aber der semantische Sinn von “nachhaltigem Lernen” lässt sich nur ironisch zum Ausdruck bringen: Die SchülerInnen dürfen nur so viele neue “Daten und Fakten” lernen, wie sie alte vergessen. Auf den schludrigen Pleonasmus von Fremdverstehen und den methodologischen Unsinn von “Hineinversetzen” sei hier nur hingewiesen. Geschichtstheoretische Defizite zeigen sich nicht nur in solchen Modevokabeln, sondern auch bei der Verwendung von Standardbegriffen wie “Wissen”. In einem geschichtsdidaktischen Sammelband von 2012 mit dem Titel “Historisches Wissen” wuselt und wimmelt es nur so von “Wissen”: Faktenwissen, Halbwissen, Vorwissen, Überblickswissen, Arbeitswissen, Geschichtswissen, Tiefenwissen, Grundwissen, intelligentes Wissen, historisches Handlungswissen, deklaratives Wissen, konzeptionelles Wissen, prozedurales Wissen, metakognitives Wissen, Verfahrenswissen, verfahrensbezogenes Wissen, Einsatzwissen, Begründungswissen, kausales Wissen, konkretes Wissen, disziplinäres Wissen, fallbezogenes Wissen, erarbeitetes Wissen, archiviertes Wissen. Was hat das mit Geschichte zu tun? Wenn man sich einmal auf den Wissensbegriff einlässt, dann fragt man doch, wo bleiben narratives Wissen, methodologisches Wissen, quellenkritisches Wissen, hermeneutisches Wissen und geschichtstheoretisches Wissen? Verzichtet man auf den Wissensbegriff, jenen Paradebegriff für kognitivistische Verengungen, wird es konkreter und auch historischer: Wo bleiben die historischen Denkoperationen Forschen, Kritisieren, Interpretieren und Erzählen? Diese Grundbegriffe der Geschichtswissenschaft umfassen weit mehr als nur “Wissen”. GeschichtslehrerInnen und HochschuldidaktikerInnen sind aber nur zum Teil verantwortlich für diesen unbefriedigenden Zustand. Im Lehramtsstudium für GeschichtslehrerInnen gibt es kaum noch Veranstaltungen, die in die Geschichtstheorie einführen. Diese missliche Situation spiegelt sich auch in der Literatur wieder. Viele der seit den 1970er Jahren von FachhistorikerInnen veröffentlichten “Einführungen”, “Grundkurse” und “Geschichtstheorien” sind wenig hilfreich. Man merkt ihnen an, dass sie aus Vorlesungseinleitungen und Statements aus Doktorandenkolloquien entstanden sind. Solche Veröffentlichungen mögen ja legitim sein, aber für Geschichtsstudierende, vor allem, wenn sie LehrerInnen werden wollen, sind sie wenig hilfreich. Auch die Bildungsbürokratie ist an dieser Situation nicht ganz unschuldig. Es zeugt von Naivität, wenn sich die Autoren von “Bildungsstandards” offensichtlich vorstellen, dass in den lebensweltlichen Diskursen die TeilnehmerInnen sich wechselweise Sätze aus dem Schulbuch oder der Fachliteratur vortragen. erhobene Geltungsansprüche zu kritisieren und eigene Geltungsansprüche mit Gründen einzulösen. Das ist alles ohne geschichtstheoretisches Wissen und geschichtstheoretische Begrifflichkeit nicht möglich. SchülerInnen sollten deshalb wissen, was sie tun, wenn sie sich mit Geschichte beschäftigen und ihr Tun auch benennen und “auf den Begriff bringen” können. Sie sollten wissen, wann sie interpretieren und wann sie analysieren, sie sollten nomologische, probalistische und narrative Erklärungen unterscheiden können und wissen, dass Ereignis und Tatsache nicht das selbe ist. Einen ersten Versuch habe ich unternommen. Es ist dringend notwendig, dass die Geschichtsdidaktik zu den theoretischen Grundlagen der Geschichtswissenschaft zurückkehrt. Ist der 200jährige geschichtstheoretische Diskurszusammenhang von Schlözer und Schlosser, Ranke und Droysen, Weber und Wehler sowie von Danto und White wirklich so unnütz, um ihn gegen ein Parallelsystem aus esoterischer Begrifflichkeit einzutauschen? Pandel, Hans-Jürgen: Geschichtstheorie. Eine Historik für Schülerinnen und Schüler, – aber auch für ihre Lehrkräfte. Schwalbach/Ts 2015 (erscheint Dezember/Januar 2015/16). Pandel, Hans-Jürgen: Geschichtstheorie. Eine Historik für Schülerinnen und Schüler, – aber auch für ihre Lehrkräfte. Schwalbach/Ts. 2015 (erscheint im Dezember/Januar 2015/16). Pandel, Hans-Jürgen: Geschichtstheoretische Kenntnisse: Mangelhaft. In: Public History Weekly 3 (2015) 24, DOI: dx.doi.org/10.1515/phw-2015-4422. Wie schon in seinem “Nachwort: Falscher Unterricht?” geht Hans Jürgen Pandel in seinem Beitrag von Unterstellungen aus: “Manche DidaktikerInnen, LehrerInnen und LehrplanautorInnen” zeigen “eine erschreckende Unkenntnis der Geschichtstheorie”. Die empirische Grundlage solcher Behauptung bleibt Pandel hier ganz schuldig, im o.g. Nachwort gründet sich seine Aussage lt. Fußnote 2 auf eine einzelne Staatsexamensarbeit. Zumindest sei die Frage gestattet, wie tief Pandel – im Alter von 74 Jahren – noch aktuelle Einblicke hat in Lehramtsstudium und -ausbildung, um solche Behauptungen belegen zu können. Seit der PISA-Debatte – so mein Eindruck – haben es die DidakterInnen geschafft, dass die geschichtsdidaktischen Anteile im Lehramtsstudium strukturell und inhaltlich gestärkt worden sind. Und wenn Lehramtsstudierende überhaupt in Kontakt zu geschichtstheoretischen Fragen treten, dann zumeist in den geschichtsdidaktischen Studienanteilen. Die Auseinandersetzung mit geschichtsdidaktischen Begriffskonzepten – wie historisches Denken und Lernen, Geschichtsbewusstsein und -kultur, fachdidaktische Prinzipien oder historische Kompetenzen – fällt den Studierenden allerdings schwer, weil das Angebot verschiedener konkurrierender Ansätze und Forschungspositionen hierzu so unübersichtlich ist. Wer drei Geschichtsdidaktiker fragt, was denn Geschichtsbewusstsein ist oder ein Kompetenzmodell historischen Lernens, der bekommt (mindestens) drei unterschiedliche Antworten. Die Fachdisziplin ist also pluralistisch aufgestellt – so kann man es positiv deuten. Die Kehrseite: Sie hat es nicht geschafft, die Begriffe auf einen für die “Kundschaft”, die angehenden GeschichtslehrerInnen, kohärenten und nachvollziehbaren Stand zu bringen. Hans-Jürgen Pandel, der wie kein anderer so umfassend zu allen möglichen Aspekten der Geschichtsdidaktik und des Geschichtslernens veröffentlicht und sich so verdient gemacht hat, hat sich darum auch nicht bemüht – er polarisiert wie kaum ein anderer. Kurz zum Inhalt: “Vernetzen” und “Nachhaltigkeit” spielen – wieder nur mein Eindruck – keine besondere Rolle im Lehramtsstudium Geschichte. Der Begriff der “Dekonstruktion” mag etwas hochtrabend daherkommen. Dass Darstellungen im Gegensatz zur Rekonstruktion der Vergangenheit aus Quellen anders zu analysieren sind und deren Analyse anders benannt werden sollte scheint jedoch – gerade wenn es um die Ausschärfung von geschichtstheoretischem Fingerspitzengefühl geht – ganz plausibel. Es könnte ja reichen, sich auf “Historische Darstellungen hinterfragen” zu einigen. Und das “Hineinversetzen”? Ist es nicht längst ausgemacht, dass Methoden wie das Rollenspiel nicht dazu dienen, “Vergangenheit erfahrbar” zu machen, sondern ein Bewusstsein für Multiperspektivität und historische Urteilsfähigkeit zu schärfen? Der Forderung Pandels nach mehr Geschichtstheorie ist im Grunde nichts entgegenzusetzen; man darf auf den im Winter erscheinenden Band gespannt sein. Wozu allerdings das arrogante und unentspannte Schimpfen auf DidakterInnen und GeschichtslehrerInnen gut sein soll, erschließt sich nicht. Es schadet der Disziplin, die aus oben genannten Gründen – gerade wenn es um Theoriefragen geht – bei vielen GeschichtslehrerInnen ohnehin nicht hoch im Kurs steht. Wie gerne erinnere ich mich dagegen an den Vortrag Jörn Rüsens vergangenen Herbst an der Universität zu Köln, der imponierend, abgeklärt und selbstkritisch vor allem eines verkörperte: Altersweisheit. Hans-Jürgen Pandel: Geschichtsdidaktik. Eine Theorie für die Praxis. Schwalbach/Ts. 2013, S. 447-450. Aus leidvoller Erfahrung eines Fachwissenschaftlers mit Didaktikern darf ich Ihnen sagen: Dahinter steht letzten Endes die Angst vor der kognitiven AUSROTTUNG der Bezugswissenschaften. Die deutsche Philosophie-Didaktik z.B. ist nun einmal größtenteils Ausrottungsdidaktik – das betrifft die klassische Philosophie, aber auch den Typus des Intellektuellen. Und auch in Geschichte sind Konzepte im Anmarsch, die letzten Endes auf eine Isolierung der HistorikerInnen zugunsten des “Moderatoren”-Typen hinauslaufen. Ich behaupte nicht, dass diese Vorwürfe in jedem Fall zutreffen; aber die “Unentspanntheit” Pandels ist so wohl erklärbar. Denn in vielem, was sich Didaktik ausdenkt, liegt Feindschaft gegenüber den Bezugswissenschaften und leider oft auch Ressentiment. Entwarnung: Geschichtslehrerinnen und -lehrer müssen sich nicht angesprochen fühlen von Pandels Pauschalangriff auf ihr Denken, Sprechen und Tun. Zunächst einmal ist die Teilnahme am geschichtstheoretischen Diskurs schlicht nicht ihre Profession. Die Diskussion um die Qualität von Lehren und Lernen, von Wissen und Kompetenzen hat sich in Schule und Ausbildung allerdings sehr wohl etabliert und emanzipiert und inhaltliche Differenzierungen erreicht, die Pandel hier nicht wahrnehmen möchte – Faulenzerwissen? Zu behaupten, im Geschichtsunterricht sei ‘dekonstruieren’ ein synonymer Operator für ‘untersuchen’, der die Schülerinnen und Schüler in ein hilfloses Tun entlasse, ist, mit Verlaub, Unsinn – Nichtwissen! Natürlich kann und muss man sich über alte und neue fachdidaktische Begriffe streiten, die wohl nicht selten kreiert werden, um sich in der kollegialen Konkurrenz auf dem Markt der Geschichtsdidaktik zu behaupten (da fasse sich auch Pandel an die eigene Nase). Aber wieso Dekonstruktion ein Verdunkelungsbegriff sein soll und Narrativität eben nicht, klärt Pandel nicht auf. Wie kommt er eigentlich darauf, dass im Geschichtsunterricht “konzeptionelle Netzwerke” oder “Netzwerkknoten” die Narration begrifflich abgelöst hätten? Dass Erzählungen begründungspflichtige Vernetzungen verschiedener Faktoren sind – was ist da an “Vernetzung” Jargon oder Faulenzervokabel? Zum historischen Wissen positioniert sich Pandel nicht inhaltlich. Eigentlich stellt er zur Sache nur Fragen. Die sind schnell beantwortet. Und schließlich besteht er darauf, dass Interpretieren und Erzählen “weit mehr als nur ‘Wissen’ umfassen”. Hat das jemals jemand in Frage gestellt? Zweifellos sind das historische und fachdidaktische Wissen und das Geschichtsbewusstsein, also das, pardon Herr Pandel, Professionswissen vieler, die in die schulpraktische Lehrerausbildung kommen, bescheiden und überlagert von individuellen Theorien gelingenden historische Lehrens und Lernens – meine empirische Studie (im Druck) deckt hier problematische Denkmuster aber auch Perspektiven auf. Aber für einen solchen Sachdiskurs hilft der Artikel nicht weiter. Pandels Vorwürfe und Forderungen an schulisches Lernen treffen keine Leerstelle. Wenn SchülerInnen nicht wissen, “wann sie interpretieren und wann sie analysieren”, liegt das nicht an einem esoterischen Parallelsystem der Lehrkräfte. Eine solche Polemik wird keine nachhaltige Wirkung entfalten, aber ich konnte sie aus der Perspektive “von unten” auch nicht unwidersprochen lassen. Ich finde dieses Auseinanderdriften der Diskurse und die demonstrative Abgrenzung (Ausgrenzung und Selbst-Ausgrenzung) höchst problematisch: hier Geschichtstheorie-Diskurs, dort Fachdidaktik-Diskurs! Im Falle der Philosophie hat die “Emanzipation” der Fachdidaktik von der -wissenschaft verheerende Folgen gehabt, die – in Form fehlender Theorie-Grundkenntnisse als Folge eines anti-theoretischen Fachzuschnitts in der Schule – übrigens auch auf Geschichts(lehramts)studierende durchschlagen. Die Theoriebildungen von Didaktikern beziehen sich meistens einseitig auf das Subjekt (des Lernens) bzw. auf den unmittelbaren Vermittlungsakt (auf die Unterrichtssituation), während die Geschichtstheorie das Objekt (die Geschichte selbst) zum Gegenstande hat. Ohne eine solche Theorie des Objekts scheint mir didaktische Theorie schwer möglich zu sein, wenn sie nicht in subjektivistischen Luftbuchungen enden will, die erkenntnistheoretisch letzten Endes nur ‘Idealismus an falscher Stelle’ sind. Es ist bedenklich, wenn sich Lehrer für die Theorie ihres Fachs demonstrativ nicht interessieren und dennoch als Theoretiker oder Konzeptentwickler tätig sein wollen, denn dann ist der ‘Tod der Inhalte’ fast schon vorprogrammiert. Vielleicht reagiert Herr Pandel auch deshalb so unwirsch auf neue Didaktik-Ansätze, weil er irgendwie spürt, dass damit der Typus des “Historikers” (gemeint ist der Ereignis- wie auch der Strukturhistoriker), also letzten Endes er selbst, aus der Schule (und damit auch dem Alltagsbewusstsein) verbannt und auf die Sub-Kultur der Hochschulen und Archive beschränkt werden soll. Die subjektbezogenen (meist postmodernen) Theorien als Angriff auf die objektbezogene Geschichtstheorie, aber auch als Angriff auf den “Ereignis-Kanon”! Damit sei keineswegs etwas gegen die konkreten Gedanken von Herrn Schröer gesagt, aber vor einem Auseinanderdriften Fachtheorie / Didaktik gewarnt, denn in vielen postmodernen Ansätzen, die ja oft den Weg über eine vom Fach “emanzipierte” Didaktik gehen, schlummert der Geist der Strukturzerstörung, der Wissensvernichtung, der Auslöschung, der Bücherzerfetzung – am Beispiel der Fachdidaktik Philosophie kann das, wie schon angedeutet, in aller Brutalität beobachtet werden. Die Postmoderne hat auch eine aggressive Seite. Und: Sie wird so langsam selber zum Dogma! Dekonstruktion und Wissen – Was ist darunter tatsächlich zu verstehen? Zunächst ist Hans-Jürgen Pandel zuzustimmen: Sehen wir von den Begriffen „Vernetzung“ und „Nachhaltigkeit“, die in der gegenwärtigen geschichtsdidaktischen Diskussion eine wohl eher periphere Rolle spielen, einmal ab, ist der Begriff der „Dekonstruktion“ tatsächlich ein theoretisches Ärgernis. Denn der Begriff ist ein philosophischer und geht auf Jacques Derrida zurück, der damit viel mehr meint als die Vertreter des FUER-Projekts, die diesen Begriff in den fachdidaktischen Diskurs eingebracht haben. Tatsächlich geht der „Dekonstruktivismus“ davon aus, dass „Texte“, unter denen sowohl das gesprochene Wort als auch dessen schriftlichen Manifestationen sowie Filme und Kunstwerke verstanden werden, niemals vollkommen eindeutig sind. „Dekonstruktion“ bedeutet daher, einen „Text“ im gesamtgesellschaftlichen Kontext zu untersuchen, indem er mit anderen „Texten“ in Verbindung gesetzt wird. Damit lassen sich auch versteckte Bedeutungen aufdecken, die den Urheber des „Textes“ gar nicht bewusst waren bzw. sind. Zu berücksichtigen ist zudem, dass sich Bedeutungen und Sinngehalte von „Texten“ ständig wandeln und diese somit ein gleichsam „flimmerndes Ganzes“  darstellen. Damit kommt auch noch die Diskursanalyse ins Spiel, die auf der Diskurstheorie von Michel Foucault beruht und mit der dieses „flimmernde Ganzen“ eben „dekonstruiert“ werden kann. Ein „Text“ erweist sich demnach nicht allein als Produkt eines Einzelnen, sondern als Bestandteil eines sozialen Diskurses. Wäre im Übrigen der Begriff „Dekonstruktion“ von seinen geschichtsdidaktischen Proponenten theoretisch wirklich gründlich durchdacht worden, dann wäre ihnen wohl auch aufgefallen, dass eigentlich – als Gegensatz zur so genannten „Rekonstruktion“ – von „De-Rekonstruktion“ gesprochen werden müsste, ganz zu schweigen von der Problematik, die mit dem Begriff der „Rekonstruktion“ – Stichwort „positivistischer Objektivismus“ – verbunden ist. Der Abschaffung des Begriffs in der Geschichtsdidaktik soll damit freilich nicht das Wort geredet werden. Ganz im Gegenteil scheint mir der „Dekonstruktivismus“, wenn er wie oben beschrieben verstanden wird, durchaus nutzbar zu sein. Die Geschichtsdidaktik benötigt eben nicht nur die Geschichtswissenschaft als Bezugswissenschaft, sondern unter anderem auch die Philosophie, die Psychologie und die Pädagogik. Warum es, wie Pandel in seinem Beitrag schreibt, „dringend notwendig“ sei, „dass die Geschichtsdidaktik [allein] zu den theoretischen Grundlagen der Geschichtswissenschaft zurückkehrt“, ist mir daher nicht so recht verständlich, gerade weil es sich, wie Pandel selbst einmal geschrieben hat, bei ihr um eine wissenschaftliche Disziplin handelt, die sich – meines Erachtens noch immer – „in statu nascendi befindet“. Und so ist auch dem engen Wissensbegriff, den Pandel und Ludger Schroer vertreten, entgegenzutreten. Wissen ist nicht ein „Paradebegriff für kognitivistische Verengungen“, wie Pandel meint, sondern bedeutet im lernpsychologischen Sinn die Aufnahme von Informationen, deren Verarbeitung und Speicherung im Gedächtnis sowie – und das sei besonders betont – deren Anwendung und Nutzung. Der Rückgriff auf eine andere als die geschichtswissenschaftliche Disziplin ist ohne Zweifel sinnvoll: Denn mit diesem Wissensverständnis hebt sich die künstliche Trennung von „Kompetenzen“ und „Wissen“ auf, die in den historischen Kompetenzmodellen vorgenommen wird und meiner Meinung nach eine fachdidaktische Sackgasse darstellt. „Forschen, Kritisieren, Interpretieren und Erzählen“, die wohl nicht nur für Pandel die zentralen Aspekte der Geschichtsdidaktik und des Geschichtsunterrichts darstellen sollten, bleiben nicht vom „Wissen“ im eng verstandenen Sinn isoliert. Hilke Günther-Arndt hat dieses Wissensmodell schon vor längerer Zeit in den Diskurs einzubringen versucht, ihr war dabei aber offensichtlich nur geringer Erfolg beschieden. Dabei lassen sich damit sinnvolle fachdidaktische Modelle kreieren, die etwa als Alternative zu den Kompetenzmodelle dienen können. Kurzum: Hans-Jürgen Pandels hat manchmal nicht ganz so unrecht, manchmal aber doch. Er provoziert offenbar gerne, belebt aber dadurch – wie wieder mal bewiesen wurde – die fachdidaktische Diskussion. Schaal, Gary S./Heidenreich, Felix: Einführung in die politischen Theorien der Moderne, Opladen/Farmington Hills 2006, S. 237. Pandel, Hans-Jürgen: Geschichtsdidaktische Begriffe: Lieber borgen als bilden?, in: Mayer, Ulrich u.a. (Hg. ): Wörterbuch Geschichtsdidaktik, Schwalbach/Ts. 2006, S. 9. Arbinger, Roland: Psychologie des Problemlösens. Eine anwendungsorientierte Einführung, Darmstadt 1997, S. 17-45. Günther-Arndt, Hilke: Historisches Lernen und Wissenserwerb, in: Dies. (Hg. ): Geschichtsdidaktik. Praxishandbuch für die Sekundarstufe I und II, Berlin 2003, S,. 39. Siehe dazu z.B. : Hellmuth, Thomas: Historisch-politische Sinnbildung. 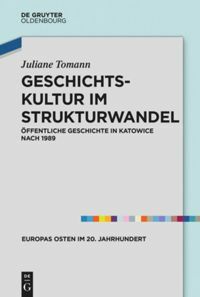 Geschichte – Geschichtsdidaktik – politische Bildung, Schwalbach/Ts. 2014, S. 196-209. Any harsh polemic usually provokes a counter polemic. So it is here. But not every polemic is of the same kind. There are cool statements, stemming from an older anger and prepared in a long process, deliberately offered just to make a problem clear and visible to all. In this sense, provocation is a necessary genre in academic communication. Not many colleagues dare to provoke in public, and it really is a little dangerous for one’s academic career and perspectives. Hans-Jürgen Pandel is a veteran of this kind of courageous expression in academe, and he belongs to the few founding fathers of modern German Geschichtsdidaktik. So, should we simply rant back? In my opinion it is really worth thinking twice about Pandel’s provocation. Is there really any doubt that the plethora of German federal curriculum documents after PISA contains a bewildering plurality of concepts and terms concerning history education, not to mention Austrian or Swiss curriculum documents? And furthermore, would anybody deny that, even in the case of the same terms in two documents, differences in the concepts behind these terms prevent the transfer of curricular argumentation from one German state to another? Please also see Michael Sauer’s “babylonische Verhältnisse”. You may say that this problem does not have much relevance for individual teachers practicing in their framework of professional beliefs, used to surviving many waves of educational reforms, just doing their (mostly) good job. Curricula are not steering tools, but administrative self-employment. Maybe. This is a laconic position. Or, you might say: Not a problem. Educational exchange and understanding work WITHIN the individual states. And, indeed, the states’ implementation efforts concerning every new curriculum generation make educational exchange work, sometimes better, sometimes worse. Every professional teacher strives to achieve an understanding of the current curricula. So, everything is OK. However, the basic problem is—and this is my point for understanding Pandel’s provocation—that the academic debate and research exchange is not state-centred but, rather, national, even international. We have to realize that a broad gap exists between the common ideas, the discussions, and the concepts in our national and international German-speaking scientific community of history education and the reality of history education communication in the framework of 16 German state-run school systems, advanced trainings, und history classes. This is a basic problem because it seriously questions our influence, our professional effectiveness. How did this problem arise? In my view, this conceptual gap between national research and regional reality was, in the 1990s—in the pre-PISA era—not as broad as today. Pandel supplies—to my mind—an explanation for this regrettable development. This explanation does not flatter anybody involved in our Geschichtsdidaktik; on the contrary, it might offend us. According to Pandel’s argumentation, the explanation is the misguided self-profiling that many of us engage in, due to an ever increasing need to solicit third party funds. Many of us invent terms and concepts instead of doing practical research on the basis of proven theories and ideas, right? Perhaps the generational transition during the last 10 years also plays a role. But the broad gap exists; the range of different, nevertheless somehow related terms and concepts is as broad as ever. A strong and operable conceptual consensus of Geschichtsdidaktik seems to be moving away, silently. Thus, federal state administrations constructing their new, “very own” regional history curricula can help themselves, frankly. In short, shouldn’t we look for more conceptual consensus? Shouldn’t we revert to the simpler but proven approaches of the previous generation? The question can be posed. Pandel’s provocation deserves more reflection. Die deutsche Variante des Beitrags befindet sich unter der englischen. Theory of History Knowledge: Rich! An epistemological debate in history, finally. Although Hans-Jürgen Pandel’s rhetoric seems irritating, he challenges us, we are discussing. Christoph Pallaske and Ludger Schröer have already said everything about the empirical basis of the deficit diagnosis. Also it seems to me that our use of terms is often ambiguous. There is, for example, the talk of “moderate constructivism “. To me it is unclear how historical knowledge could be human made, but “moderate” (somewhat?) (Jenisch 2004). Here I wished for more detailed explanations. Equally unclear are the conventions of the basic concept of “historical narrative”. 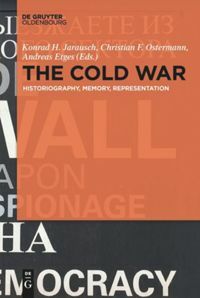 While some understand this as one form of speaking and writing about past(s) and want to differentiate it of analytical, descriptive forms, it may also be interpreted as a global narrative explanatory model of historical knowledge. Narrativity then characterizes every form of historical knowledge, when it is processed into coherent stories (Saupe / Wiedemann 2015). Just like this the term “deconstruction” is used in different ways, as has been discussed by Thomas Hellmuth. However, I’m not sure if the word is being discussed as it is understood by the authors of the FUER-publications (e.g. Körber / Meyer-Hamme 2015). It is not just spoken of “deconstruction” but “de-construction”. This is not congruent with the morphology of the postmodern use of the word. This refers to the reverse operation of re-construction (also used with a hyphen) and seems to me as a useful subject specific supplement to the existing categories in dealing with historical narratives. “Analysis” is quite unspecific. To check secondary accounts (historical narratives) other texts (primary sources and secondary accounts) are needed just like in the postmodern “deconstruction”. But different methodological steps can be distinguished. In my view there is nothing wrong to use the postmodern “deconstruction” in discourse analytical purposes in history education in addition, if it becomes clear how the concept is understood. These examples show that terms are ambiguous in German history education. However, this seems to be hardly different in the English speaking discourse as has recently been pointed out by Peter Seixas in a presentation at the conference “geschichtsdidaktik empirisch 15” in Basel. This is not surprising, as Koselleck (2006) shows: meanings of terms change with their use, more precisely, the semantic changes through the intentions and expected response of the users in different contexts. One can see this as a nuisance, a poverty of knowledge or a problem. But I prefer to take the opposite position, seeing it as a positive phenomenon that can promote the discourse and findings in a discipline. This naturally has consequences for the understanding between us and the communication with students as well as with colleagues from other disciplines. A dialog for clarification of basic concepts would therefore be useful, as has been pointed out by Marko Demantowsky. But that requires accuracy in the use of our terms and we would have to go into other concepts of colleagues. If we do this, we are not exempt of “language translation” if we get in touch with colleagues or teachers. Even if prospective history teachers are trained, the clarification of concepts is not an annoying exercise, it ensures that they understand the need to do so. This is eminently important, because later they should be able to talk with their students (and colleagues) about the meanings of historical terms, symbols and epistemological concepts. I understand the different use of terms not as low epistemological knowledge in history education from which could result in a problematic school practice. Rather, it shows that work in history education always means to work on our own terms which are used and on the own understanding in concepts of others. This does not limit us. The work is enriched by it! – Jenisch, Achim: Erhebung von Schülervorstellungen zu historischem Wandel. In: Saskia Handro, Bernd Schönemann (Hg. ): Geschichtsdidaktische Lehrplanforschung. Methoden – Analysen – Perspektiven, Berlin u.a. 2004, S. 265-276. – Koselleck, Reinhart: Begriffsgeschichten. Studien zur Semantik und Pragmatik der politischen und sozialen Sprache, Frankfurt am Main 2006. – Körber, Andreas / Meyer-Hamme, Johannes: Historical Thinking, Competencies and their Measurement. Challenges and Approaches. In: Seixas, Peter / Ercikan, Kadriye (eds. ): New Directions in Assessing Historical Thinking. Routledge 2015, S. 89-101. – Saupe, Achim / Wiedemann, Felix: Narration und Narratologie. Erzähltheorien in der Geschichtswissenschaft, Version: 1.0, in: Docupedia-Zeitgeschichte, 28.01.2015; URL: http://docupedia.de/images/9/9e/Narration.pdf, 11.09.15. Eine geschichtstheoretische Debatte, endlich. Auch wenn Hans-Jürgen Pandels Rhetorik irritiert, erreichen die Ausführungen doch eines: Wir diskutieren. Zur empirischen Grundlage der Defizitdiagnose haben Christoph Pallaske und Ludger Schröer schon alles gesagt. Indes auch mir scheint die Begriffsverwendung häufig uneindeutig. Da ist z.B. von “moderatem Konstruktivisimus” die Rede, ohne dass mir deutlich wird, wie historische Erkenntnis nur “moderat” (ein bisschen?) menschlich gemacht ist (Jenisch 2004). Hier wünschte ich mir manchmal genauere Ausführungen. Genauso unklar erweist sich der Grundbegriff “historisches Erzählen”. Während die einen dieses als eine Form verstehen, Vergangenheit(en) sprachlich zu verarbeiten und es von analytischen, beschreibenden Formen abgrenzen wollen, kann es andererseits als umfassendes narratives Erklärungsmodell historischer Erkenntnis gedeutet werden. Narrativität kennzeichnet dann jede Form historischen Wissens, wenn es in kohärenten Geschichten verarbeitet wird (Saupe/Wiedemann 2015). Genauso verschieden wird, wie u.a. die Ausführungen von Thomas Hellmuth zeigen, der Begriff “Dekonstruktion” verwendet. Allerdings bin ich mir nicht sicher, ob die Irritationen um den Gebrauch, nicht an der Ursprungsintention der FUER-Publikationen vorbeigehen. Es wird eben nicht von “Dekonstruktion” sondern “De-Konstruktion” gesprochen, womit sich die Begriffsverwendung morphologisch als nicht deckungsgleich mit der postmodernen Verwendung herausstellt. Dies verweist auf die Umkehroperation zur Re-Konstruktion (ebenfalls mit Bindestrich gebraucht) und scheint mir eine sinnvolle fachspezifische Ergänzung zu den bis dahin vorhandenen fachspezifischen Kategorien im Umgang mit historischen Erzählungen zu sein. “Analyse” ist doch recht unspezifisch. Dass dabei auch auf andere Texte (Quellen und Darstellungen) wie bei der postmodernen Variante zurückgegriffen werden muss, sich die methodischen Schrittfolgen jedoch unterscheiden, machen die FUER-Arbeiten deutlich. Dabei spricht aus meiner Sicht überhaupt nichts dagegen, auch die “Dekonstruktion” im diskursanalytischen Sinne für geschichtsdidaktische Fragen nutzbar zu machen, wenn deutlich wird, wie das Konzept verwendet wird. Die Beispiele zeigen, dass Begriffe in der deutschsprachigen Geschichtsdidaktik nicht eindeutig verwendbar sind. Dies scheint im englischsprachen Diskurs jedoch kaum anders zu sein, wie Peter Seixas kürzlich in seinem Vortrag auf der Tagung “geschichtsdidaktik empirisch 15” in Basel anschaulich herausgearbeitet hat. Das dies kaum anders sein kann, hat schon Koselleck (2006) verdeutlicht, weil sich Begriffsbedeutungen mit ihrem Gebrauch verändern, genauer: Durch die kontextgebundenen Aussageabsichten und Verständniserwartungen der NutzerInnen semantisch um Nuancen im Verlauf der Zeit verschieben. Man kann dies als Ärgernis, Wissensarmut oder Problem ansehen. Ich neige aber zu der entgegengesetzten Einschätzung. Dieses Phänomen kann als Reichtum an Wissen bezeichnet werden, der den Diskurs und damit auch die Erkenntnis in einer Disziplin befördern kann. Das hat natürlich Folgen, für die Verständigung untereinander sowie mit Studierenden sowie (internationalen) KollegInnen (nicht nur) aus anderen Disziplinen. Ein Dialog zur Klärung von Grundbegriffen im Diskurs wäre daher, wie Marko Demantowsky deutlich macht, sicher wünschenswert. Das setzt aber voraus, bei der eigenen Begriffsverwendung genau zu sein, sie zu erklären und im Vergleich mit anderen Kategorie-Gebräuchen “zu übersetzen”, sich aber auf diese auch einzulassen. Ein solcher Konsensversuch entbindet uns freilich nicht von sprachlichen Übersetzungsleistungen, wenn wir mit KollegInnen oder Lehrpersonen ins Gespräch kommen. Auch wenn Studierende ausgebildet werden ist Begriffsklärung nicht nur eine ärgerliche Übung, sondern sorgt dafür, dass die Notwendigkeit selbst erfahren wird, was umso wichtiger ist, weil sie ja später wiederum, nicht nur historische Begriffe und Zeichen sondern auch geschichtstheoretische für ihre SchülerInnen (und im Gespräch mit KollegInnen) übersetzen müssen. Die Begriffsvielfalt in der Disziplin verweist für mich also nicht auf eine Armut an geschichtstheoretischem Wissen, aus der sich linear eine problematische Schulpraxis ergeben würde. Vielmehr verdeutlicht sie, dass geschichtsdidaktisches Arbeiten auch immer darin besteht, an der eigenen Sprachverwendung und am Sprachverständnis zu arbeiten. Dies macht mich jedoch in keiner Weise ärmer. Mein Wissen wird dadurch bereichert! Den Alarmismus Pandels finde ich durchaus berechtigt, ohne ein Pauschalurteil über alle Bundesländer und Ansätze abgeben zu wollen. M.E. hat die Geschichtsdidaktik das rechte Maß an Theorie noch nicht gefunden: Lange Zeit war “Geschichte” ein theoriefernes, ja theoriefeindliches Schulfach in – mehr oder weniger offener – Konfrontation zur Soziologie; geprägt von einer demonstrativen Hochschätzung konkreten Faktenwissens auf Kosten übergreifender und kritischer Gesichtspunkte. Die – in den 70ern einsetzende – stärkere Theoretisierung brachte dann auch einen schärferen Blick für gesellschaftliche Strukturen, während das konkrete Wissen – insbesondere über Dynastien- und Territorialgeschichte – zurückging. Was wir aktuell erleben, ist eine Zerstörung dieser Sinn- und Sachstrukturen durch eine postmoderne Theorie-Formation, die im Grunde nur Einfallstor für die Theorie-Unfähigen ist und sich normativ auf die Mikrogeschichte von unten (80er Jahre) stützen will, in erster Linie aber wohl als Bestandteil affirmativen, postmodernen “Durchregierens” verstanden werden muss. Die Geisteswissenschaften sind einem De-Rationalisierungsangriff ausgesetzt, der mit einem Übermaß an (postmoderner) Theorie de facto eine Unterdosis an konkretem Faktenwissen, aber auch an (strukturalistischer) Theorie, erzeugt und – wenn man es so sagen will – die Nachteile verschiedener Konzepte verbindet, ihre Vorteile aber über Bord schmeißt. M.E. beruhen diese Probleme übrigens auf einer mangelnden Philosophie- und Theorie-Bildung auch des Lehrpersonals. Man schwankt zwischen Über- und Unterdogmatisierung, und das Berufsdenken vieler Lehrämtler (der “Praxisterror”) verschärft das Problem zusätzlich, wie übrigens auch die zunehmende Betonung psychisch-charismatischer auf Kosten geistig-kognitiver Stärken bei den Kriterien für “erwünschten Lehrernachwuchs”. b) Eine unveröffentlichte Kritik an einem philosophiedidaktischen Buch des Hamburger Referendarausbilders Fröhlich. In der Schuldidaktik “Philosophie” herrscht offene Feindseligkeit gegen Fachwissenschaftler und Theoretiker, bemäntelt ebenfalls mit postmoderner Theorie, die einmal mehr das Einfallstor für Theorie-Unwillige, ja Theorie-Unfähige, bietet. The professional debate, launched recently by Prof. Hans-Jürgen Pandel (http://public-history-weekly.oldenbourg-verlag.de/3-2015-24/theory-of-history-knowledge-poor/#comment-4798), is a very good mind-fresher for all of us who are keen on some academic discourse about some fundamental questions of our beloved academic field. Prof. Pandel’s criticism is directed toward the “educational bureaucracy” and “naiv authors of educational standards”. He makes a very serious point that “some German educationalists, teachers, and curriculum planners have displayed an alarming lack of knowledge about the theory of history. The past forty years of discourse on the theory of history have not had any impact on them”. I fully agree with him that “they [undergraduates, in my case] should know when they are interpreting and when they are analysing, they should be able to differentiate between nomological, probabilistic, and narrative explanations, and know that events and facts are not the same things”, and I am really looking forward to prof. Pandels’s new book on this topic (“I have made a first attempt”). I would just like to add that in some countries (definitely in Slovakia) “educational bureaucracy” and “educational standards’ authors” have hardly heard about history didatics, or if they have, it hasn’t made a serious impact on them. One possible conclusion is that Germany is well ahead of us, surely. Prof. Pandel’s criticism is directed toward something what has been at least existing in Germany, but which has not been able to set roots in some other parts of the World. And here come some technicalities: I wish that German Geschichtsdidaktik schools had more output in English; it would make this valuable “fresh well of knowledge” for us, who struggle with German language, a bit more accessible. So why are we lagging behind in using clear and proper history didactical terms and concepts? As someone who has some knowledge of history teaching and history teacher training in East Europe, one possible answer is that it is so because we have been witnessing a strong utilization of history, and perhaps not only in East Europe, but in the West too. And since contemporary historiography can not be separated from the beautiful phenomenon what we call historical counsciousness, we should not be surprised over the variety of ‘different approaches’. In short, our history teaching culture is dominated by pure methodology. Instead of historical theory, both teachers as well as professional historians identify history didactics with methodology, what more tha latter generally see no link between their academic work and common historical culture! This is something which some of us (along with Prof. Viliam Kratochvíl and Prof. Ágnes Dárdai-Fischer) have been pointing out many times. So the point that our historical culture is based on paedagogical praxis instead of solid theory of history, I regard the most important signal from Prof. Pandel. Finally, both authors seem to worry about “established terminology of the theory of history” (Mr. Pandel) and “proven theories and ideas” (Mr. Demantowsky). Certainly, statements without firm basis are unacceptable, and unprofessional approaches are simply ridiculous. On the other hand, however, I would not be afraid of alternative and innovative approaches, neither a fresh vocabulary, nor a creative and news concepts, for science have always needed fresh ideas and innovative challenges, haven’t it? Wo Christoph Pallaske recht hat, da hat er recht! Ich bin tatsächlich 74 Jahre alt. In meiner Generation gilt es allerdings als primitivster und dümmster Versuch, den Wahrheitswert von Aussagen am Lebensalter des Autors ablesen zu wollen. Wenn das aber eine altmodische Einsicht sein sollte, darf man wohl moderner fragen, warum jemand wie Christoph Pallaske, der sehr viel jünger ist als ich, so altersstarrsinnig an der Meinung festhält, dass “Dekonstruktion” ein seriöser Begriff von Geschichtstheorie und Geschichtswissenschaft sei. Bleiben wir im Folgenden exemplarisch bei der “Dekonstruktion” zur Illustration meiner Kritik. Mit vielen Arten von Widerworten habe ich gerechnet. Ich würde übertreiben, Wichtiges übersehen und an den eigentlichen Problemen vorbeischrei-ben. Auch der Vorwurf, ich hätte einen falschen Begriff von Geschichtstheorie, lag im Bereich des Möglichen. Aber die Behauptung von Ludger Schröer, dass GeschichtslehrerInnen sich nicht angesprochen fühlen müssten, hat mich doch sprachlos gemacht. Geht die theoretische Debatte derjenigen Wissenschaft, die sie als Schulfach unterrichten, die LehrerInnen wirklich nichts an? Das soll die “Perspektive ‘von unten'” (Schröer) sein? Ist das wirklich die Sicht der Unterrichtspraxis? Gehen Fragestellungen, Methoden und Theorien des Faches, das GeschichtslehrerInnen unterrichten, sie wirklich nichts an? Zwei Kommentatoren, Barnabas Vajda und Matthias Bublitz, versuchen, Erklärungen für diese Entfernung der Geschichtsdidaktik von den Grundanliegen der Disziplin Geschichtswissenschaft zu geben. Matthias Bublitz sieht das in der Diskursformation “Postmoderne” begründet. Er spricht von “totalitärer Postmoderne” und “postmoderner Bildungsideologie”. Für das Auseinanderdriften von Fachwissenschaft und Fachdidaktik hat Bublitz das starke Wort der “Ausrottungsdidaktik” angeführt. Diesem Begriff möchte ich mich nicht anschließen, obwohl ihm eine richtige Beobachtung zugrunde liegt. Bublitz deutet das als ein bewusstes planmäßiges Vorgehen. Ich halte das eher für einen schleichenden Prozess. Der Grund liegt eher in der Geschichte der Geschichtsdidaktik. Nach der 200-jährigen babylonischen Gefangenschaft in der Schulpädagogik, die die Geschichtsdidaktik hinter sich hat, fühlen sich Didaktiker so “emanzipiert” (Schröer), dass sie sich auch von der Disziplin Geschichtswissenschaft nicht mehr “disziplinieren” lassen wollen. Darauf verweist Barnabas Vajda. Er sieht den Grund für diese disziplinäre Aufspaltung in einer extremen Methodenfixiertheit der Fachdidaktik. Viele DidaktikerInnen besitzen in der Tat eine beängstigende methodische Kreativität, mit der sie sich allerdings in performative Widersprüche verheddern. Sie erfinden methodische Verfahren, die für historisches Denken kontraproduktiv sind. Die begriffliche Missgeburt “Urteilskompetenz”, die nur eine beliebige Meinung verlangt (“BILD Dir deine Meinung”), gehört ebenso dazu, wie die Methode, SchülerInnen mit ihren Körpern gesellschaftliche Verhältnisse (!) in “lebenden Bildern”, sog. “Standbilder” darstellen zu lassen. Und der soziologische Grundbegriff “Rollenspiel” ist in der Unterrichtspraxis zur fiktiven Stegreifstreiterei verkommen. Solche methodischen Arrangements wie “Fishbowl”, “Placemat” und “Drei gewinnt” werden gar nicht mehr daraufhin befragt, ob sie für die SchülerInnen einen Zuwachs an historischem Denken erbringen. Die Geschichtsdidaktik hat es mit den vier historischen “Grundrechenarten” zu tun: mit Hermeneutik, Analytik, Kritik und Narrativität. Diese gilt es den SchülerInnen zu vermitteln. Hermeneutisches Interpretieren, sozialwissenschaftliches Analysieren und aufklärende Kritik münden in narrativen Darstellungen, denn Geschichte als Prozess, der in der Zeit abläuft, lässt sich nur in der zeitdurchschreitenden Form der Erzählung darstellen. Diese vier historischen “Grundrechenarten” sind der Kernbereich dessen, was man als historisches Denken bezeichnet. Solche disziplinären Basisoperationen lassen sich nicht nach Lust und Laune erfinden oder vermehren. Die Mathematikdidaktiker fordern die Schüler doch auch nicht auf: “Desummiere die folgende Zahlenreihe”. Hermeneutik will subjektiv vermeinten Sinn verstehen, Analytik sucht dagegen, ob etwas Bestimmtes (eine Meinung, eine Einstellung, eine Perspektive, eine Werthaltung) in kulturellen Objektivationen enthalten ist. Die hermeneutische Interpretation geht offen und voraussetzungslos an ihre Objekte (Texte, Bilder Gegenstände) heran; sie lässt sich überraschen. Die Analytik weiß dagegen, wonach sie sucht. Sie geht mit einem begrifflichen Instrument an ihre Gegenstände heran. Das kann ein einzelner Begriff sein (Rassismus) oder eine ausdifferenzierte sozialwissenschaftliche Theorie. Analysen sind stets theoriegeleitet. Daraus ergeben sich für den Unterricht gewisse Grundmuster: “Untersuche, was der Autor meint” vs. “Untersuche, ob der Autor rassistische Vorurteile (etc.) äußert”. Kritik bedient sich sowohl verstehender wie analytischer Methoden. Sie ist ein “Messen”, wie weit etwas von einer (vorgeschlagenen) Norm abweicht. Messinstrumente sind Wertstandards: Demokratie, Menschenwürde, Gerechtigkeit oder formale Wissenschaftsstandards wie Rationalität und Logik. Kritik sucht, gültige Gewissheiten zu hinterfragen, sie hält zu ihnen Distanz. “Geschichte, wie wir sie verstehen”, entstand “an dem Tag, als der Beruf des Kritikers mit dem des Historikers verschmolz” (Paul Veyne). Seitdem gehört Quellenkritik, Ideologiekritik und Erkenntniskritik zum historischen Denken. Kurz: hermeneutische Subtilität, analytischer Scharfsinn, kritische Unnachgiebigkeit und sinnbildende Narrativität machen den Markenkern von Ge-schichtswissenschaft aus. Diese Fähigkeiten gilt es SchülerInnen zu vermit-teln. Und das geschieht zurzeit nicht in ausreichendem Maße. Mein Vorwurf des unzureichenden geschichtstheoretischen Kenntnistandes wird von meinen Kritikern noch bestätigt. “‘Analyse‘ ist doch recht unspezifisch”, heißt es bei Nitsche. Wer so etwas sagt, will einfach nicht die sozialwissenschaftliche Wende der Geschichtswissenschaft seit den 1970er Jahren zur Kenntnis nehmen. Die Erweiterung der historistischen Hermeneutik zur sozialwissenschaftlichen Analytik hat Geschichtswissenschaft zur (historischen) Sozialwissenschaft gemacht. Dekonstruieren ist dagegen eine Mogelpackung. In ihr steckt gar keine geschichtstheoretische oder geschichtsdidaktische Innovation. Wenn sie praktisch wird, bedient sie sich klammheimlich doch wieder hermeneutischer, analytischer und kritischer Methoden. Das wird schon von Pallaske zugestanden, wenn er sagt, er müsse eine neue Bezeichnung haben. Dekonstruktion als Marketing Trick, um sich in der Debatte Aufmerksamkeit zu verschaffen? Diese Vermutung wird durch die Tatsache gestützt, dass bei den geschichtsdidaktischen Autoren nur die Vokabel “Dekonstruktion” Verwendung findet. Niemand von ihnen bezieht sich auf die philosophische Debatte über Dekonstruktion bei Derrida, Angehrn, Shusterman etc. Warum um alles in der Welt soll mit “Dekonstruktion” ein neuer Begriff für die kritische Analyse von Geschichtsschreibung (Pallaske nennt es unspezifisch “Darstellungen”) gefunden werden? Die Bezeichnungen Ideologiekritik und Inhaltsanalyse gibt es doch schon. Außerdem sehe ich in der geschichtsdidaktischen Literatur keine unterrichtspraktischen Modelle für “Dekonstruktion” von Geschichtsschreibung, auch wenn nur Auszüge aus teils mehrbändigen Werken der modernen Historiographie gemeint sein können. Ich kenne keine unterrichtspraktischen “Dekonstruktionen” von “Darstellungen” von Johannes Fried, Heinrich August Winkler oder Hans-Ulrich Wehler, schon gar nicht für die publizistische Geschichtsschreibung von Joachim Fest oder Andreas Platthaus. Ich kritisiere gar nicht die “Begriffsvielfalt” in der didaktischen Diskussion wie Nitsche meint. Ich beanstande gar nicht die Verwendung bestimmter Begriffe in der didaktischen Diskussion, noch nicht einmal den Gebrauch von “Dekonstruktion” und “Vernetzen”. In der theoretischen Debatte kann jede/r AutorIn jeden Begriff verwenden, den sie will. Sie können neue in die Diskussion einbringen und meinetwegen auch Begriffe erfinden. Das kann jeder halten wie er will. Auch unkonventionelle Begrifflichkeiten sind erlaubt. Jede/r AutorIn muss selbst entscheiden, ob sie/er mit ihren/seinen begrifflichen Kreationen und methodischen Erfindungen ernst genommen werden will. Etwas völlig anderes ist die Frage, ob man solche esoterische Begrifflichkeit in den Geschichtsunterricht einführen darf. Das ist der Kern meiner Kritik. Unverantwortlich halte ich es aber, wenn LehrerInnen und sogar HochschuldidaktikerInnen als Schülerauftrag unter eine Quelle schreiben: “Dekonstruiere diese Quelle”. Und ebenso unverantwortlich halte ich es, wenn Lehrpläne (wie der neue Baden-Württembergische Entwurf) “Dekonstruktion von historischen Deutungen” verlangen. Wer und was sind die anonymen “Deutungen” und wie “dekonstruiert” man sie methodisch? Ich kritisiere auch nicht den Wissensbegriff, wie Hellmuth meint, sondern ich kritisiere, dass nur über Wissen geredet wird und nicht darüber nachgedacht wird, wie die disziplinären Denkoperationen in der Praxis vermittelt werden können. Diese Denkoperationen sind das Primäre, denn sie ermöglichen es doch erst, Wissen zu erzeugen, und zwar fachspezifisches Wissen. In einem wichtigen Punkt unterscheidet sich die geschichtsdidaktische Debatte von denen der anderen Wissenschaftszweige. In Wissenschaftsdebatten werden abwegige Vorschläge, unsinnige Begriffskreationen und pure Moden im Laufe des Diskurses durch das bessere Argument verdrängt und bleiben somit auf der Strecke. Anders in der Geschichtsdidaktik. Ihre Absonderlichkeiten werden vielmehr mit Amtsgewalt durch Lehrpläne in Kraft gesetzt und jahrelang auf Dauer gestellt. So verlangt der Entwurf für den Baden-Württembergischen “Bildungsplan 2016” (Stand 22.5.2015) vom Geschichtsunterricht “Stärkung von Resilienz”. Diese amtlich verordnete Esoterik müssen also alle GeschichtslehrerInnen dieses Bundeslandes über Jahre hinaus praktizieren! Ist also die Bildungsbürokratie am unzureichenden Diskussionsstand der Geschichtsdidaktik schuld? Nicht so ganz, denn die Lehrplanentwürfe werden von sechs bis acht vom Ministerium handver-lesene GeschichtslehrerInnen verfasst. Damit bin ich wieder bei Ludger Schröer. Es sind jene Lehrer, die die Geschichtstheorie, ihre Begrifflichkeit und Operationen ja gar nichts angeht, wie Schröer feststellt. Denn deren “Teilnahme am geschichtstheoretischen Diskurs” ist “schlicht nicht ihre Profession”.